Roman Glass Gift Earrings Unique Nest Design in Sterling Silver Roman glass dangling earrings. Sterling silver. 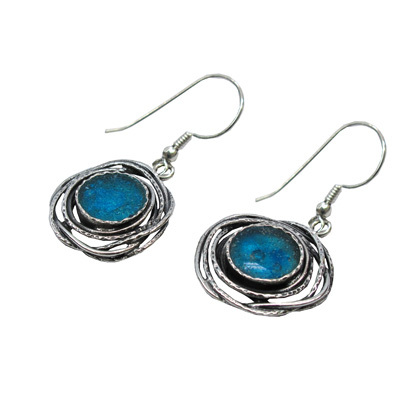 Roman glass video Adorable design in Roman glass 925 silver earrings with Ancient Roman glass .